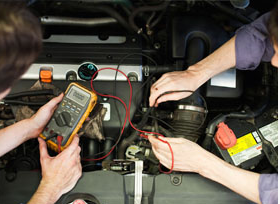 We are an MOT test centre and are able to carry out all manner of repairs on cars and vans.Over the years we have built up a reputation for excellent customer service and outstanding mechanical engineering. Why choose East Hill Garage? Free quotes,Great reputation,MOT testing,Competitive rates,Experienced mechanics,Comprehensive vehicle repair service,Vehicle collection available upon request. If you bring your car in for an MOT. Further discounts are also available and we reward our loyal customers. 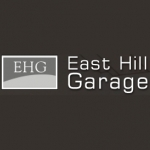 At East Hill Garage, we have the experience and resources to solve all your vehicle woes.Our specialist mechanics repair and service all makes and models of vehicles, so no matter what the problem, we have the solution.In addition, we also provide a professional car washing and valeting service. Tyres, Batteries, Exhausts, MOT, Brakes, Diagnostics, Vehicle valeting servicing. Creche and Nursery Service available whilst your car is in our care-visit www.celticrose.co.uk and /or ask for Rosie on 07875592440. For a free quotation, as well as additional information about any of our vehicle repair services, contact us.